Heat oil in a pan and add mustard seeds. When mustard seeds crackle,add the carrot grated and saute it in a low flame. Now add salt ,green chillies and curry leaves and mix well. 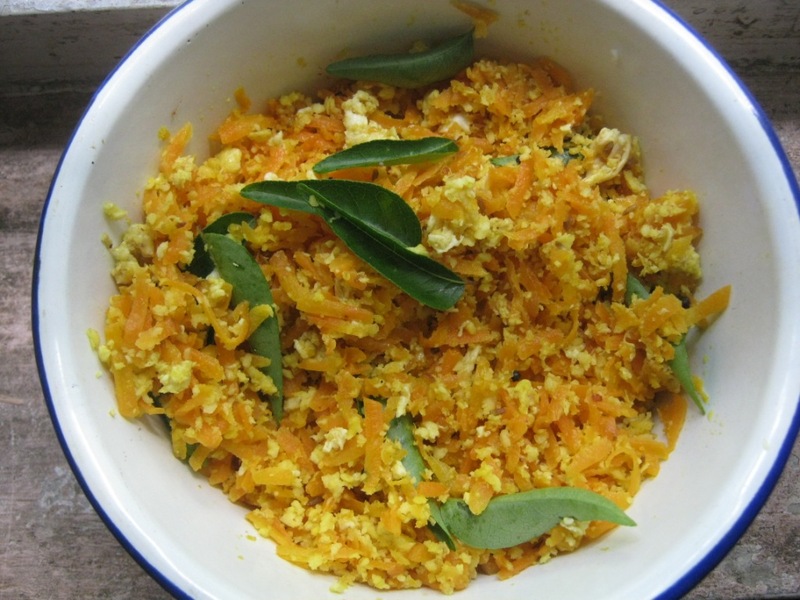 Meanwhile grate the coconut and grind it with garlic,turmeric and cumin seeds and make it a coarse paste of it. Now mix the grinded coconut with the carrot and sprinkle little water on it and cook in low flame. Now whisk the egg in a bowl well add a bit salt n turmeric if needed, then scramble it in different pan. Thereafter add the scrambled egg with the above carrot. Stir it occasionally and let it become dry.